Home » What are Ovulatory Disturbances? Any disturbances in the production of ovum or egg cells which can result in infertility, are called ovulatory disturbances. The start of ovulation in a woman can be detected through a rise in LH or Luteinizing hormones or a rise in the Basal Body Temperature (BBT). WHAT ARE THE CAUSES OF OVULATORY DISTURBANCES? Excessive secretion of thyroid hormone is called hyperthyroidism while it’s under secretion is hypothyroidism. Nevertheless, both of these conditions can result in irregular ovulation. PCOS stands for Polycystic Ovarian Syndrome. Women with PCOS are more likely to have elevated androgen (male hormones) levels, develop insulin resistance, and hyperinsulinemia. Due to increased level of androgen, irregular ovulation is caused in many women. It is an extremely common medical condition in women which can cause infertility. One in five women of reproductive age, suffer from PCOS. The hormonal imbalance in PCOS can cause obesity, too. By diagnosing & treating PCOS early and following a healthy lifestyle, one can increase the chances of pregnancy. Prolactin or luteotropic hormone is a hormone secreted in females which is responsible for the production of milk in them. Usually, these hormones are in an elevated level after the onset of pregnancy. But if these hormones are over secreted without any pregnancy, it is a matter of alarm. It can be a sign of irregular ovulation. This condition is commonly identified as hyperprolactinemia. With the advancement of age, the fertility of a woman decreases considerably. Just like every other organ, the ovaries too, age with time. By the time, a woman turns thirty-five, she has lost approximately a thousand eggs, as a result of her menstrual cycle each month. Roughly, around forty, she has only ten percent of her ovum intact. After menopause, the ovaries stop producing eggs. But in some women, the production of eggs stops before the onset of menopause. The eggs are unable to fertilize and develop the way they are supposed to. Irregular ovulation can be a reason of this low ovarian reserve and failure. HOW TO DETECT OVULATORY DISTURBANCES? 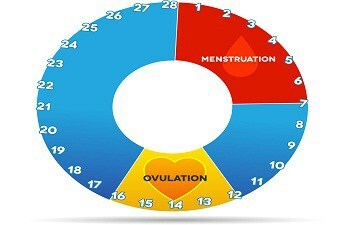 There are certain medical tests which can help in detecting the disturbances in ovulation. These tests can help in diagnosing a number of things like measuring the ovarian reserve, to find out the thickness of uterine lining, to know if ovulation has taken place inside the body, etc. Prolactin or PRL is a luteotropic hormone that is responsible for the production of milk in mammals, usually females. The rise in the level of prolactin is associated with ovulatory disturbances. TSH stands for Thyroid Stimulating Hormones. The under or over secretion of TSH from thyroid glands determines the woman’s chances at conception. HOW TO TREAT OVULATORY DISTURBANCES? Ovulatory disturbances are usually treated with the help of fertility drugs. These drugs might be in the form of oral medications or injections. Whether one should go for oral medications or injections, and in what dosage; these things are usually prescribed by the doctor.